Cheryl recently joined the Tax Management Services team. 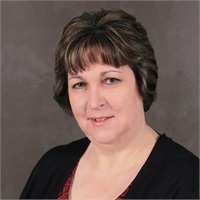 She has over 27 years of experience in public accounting and has worked with clients in a variety of industries including construction, manufacturing, wholesale, and service. Cheryl earned her Bachelor’s Degree in Managerial Accounting from the University of Wisconsin Green Bay. She specializes in individual, fiduciary and business tax preparation. Cheryl attends various tax and accounting training courses throughout the year to make sure she keeps up on current trends and tax law changes and continues to develop her professional skills. Providing clients with exceptional and timely service is her top priority. Clients and colleagues appreciate her experience and willingness to help. In her spare time, Cheryl likes to spend time with her family and friends. She has a deep appreciation for music and loves to sing.